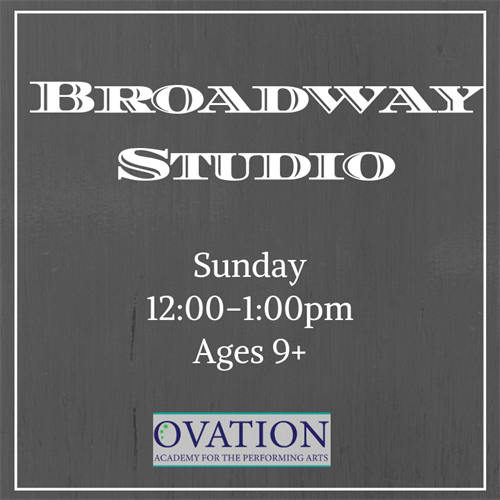 Broadway Studio - Mar 24, 2019 - Oak Park-River Forest Chamber of Commerce, IL ? This intermediate class will cover all aspects of musical theater from choreography, scene work, and musical storytelling through popular, age-appropriate Broadway selections. Students will gain a deeper appreciation for musical theater, as well as expand their repertoire. This class is perfect for a skilled performer looking to build the confidence to pick up material quickly and perform FULL OUT! Sunday, 12:00-1:00 pm - starting 1/27 through 5/12.